Welcome back to Fun Intern Friday, this is Tori, your host and guide! This week I went to Zoo Knoxville and Ijams Nature Center to do a ropes course at Navitat. Let me tell ya, it was a fun two days. I have been to the zoo before but that was 10 years ago, so I had to revisit and I was glad I went! Seeing all the cool animals really improved my mood and I thoroughly enjoyed the experience. The day I went was very rainy here in Knoxville but that didn’t stop me. If anything, I enjoyed it more. The zoo just has so much to offer, did you know we had the largest African Elephant in the country? I didn’t either! They also have three tigers, two males and one female. The female is three years old while the males are both eight. I understood why the female and males couldn’t be in an enclosure together, but I didn’t realize the males had to be separated too. After a certain age they cannot be in the same enclosure because they’d fight, isn’t that crazy? After the tiger exhibit, we went to the monkeys. Georgie the gibbon was the first we visited, and he was the cutest! He had so much personality and was climbing and jumping to where we were just showing off. 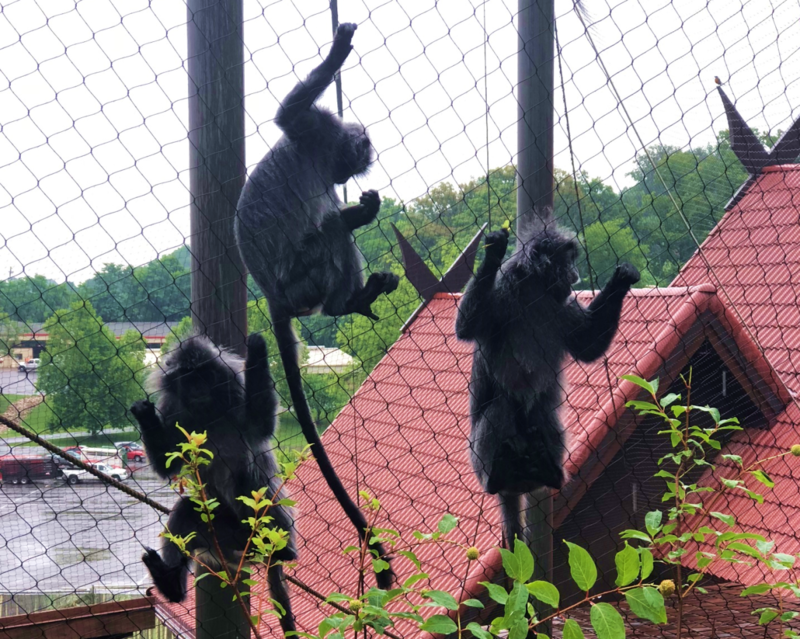 Next to him was another enclosure with different monkeys with long tails called langurs, and these guys were jumping around everywhere. I was told when the mom came to Zoo Knoxville, they didn’t know she was pregnant! Since it was raining, most of the animals including the elephants, giraffes, and rhinos were in their little homes as we walked by. We went ahead to the gorilla exhibit where they had a couple babies, and they were adorable! It was cool to see them literally hanging with their mom. After we left the gorillas, we saw that the rhinos were out, and the male giraffe was sticking his head out too! Giraffes are my favorite animal, so I was super excited to see him. We went to the elephant exhibit, which has an inner part where people can go in and look at the elephants once they are in their home inside. We walked into the room and I was amazed. I knew elephants were big, but I was so shocked at how big and we were standing next the SMALLEST female! This is where I found out we have the largest African Elephant in the country, but he didn’t want to make an appearance. Many animals were inside sleeping due to the rain, so I didn’t get to see them all but trust me, I will be back! Adults are $20, children and seniors are $17, and parking is only $5. It’s a steal to see all these great animals and to learn so much about them! Check out Zoo Knoxville for some more info. It’s pretty hard to top the zoo for me, this one might do it or at least be a tie. If you also enjoy outdoor activities, you will LOVE this one. 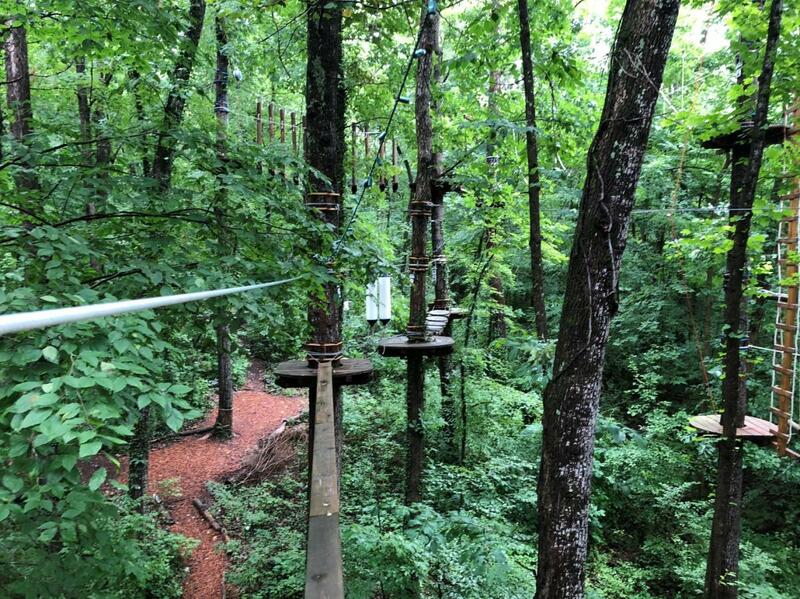 Navitat is a ropes course located adjacent to the Ijams Nature Center. It is the coolest thing I have probably done, and I am confused why it has taken me so long to even do it. It has been at the Nature Center for about three years and has different levels for everyone -beginner, moderate, and difficult. Don’t worry about the heights thing (heights make me weak in the knees), but I had no issue with Navitat! It was such a cool experience and the ziplines were my favorite part! When you first walk up they fit you into a harness, gloves, and a helmet. They then take you through something they call ground school, explaining that at all times you will be locked into something, whether it be the cable to go out the course you’re on or the tree that the cables are centered around, guaranteeing you will at no point fall off the course. So eliminate that fear! 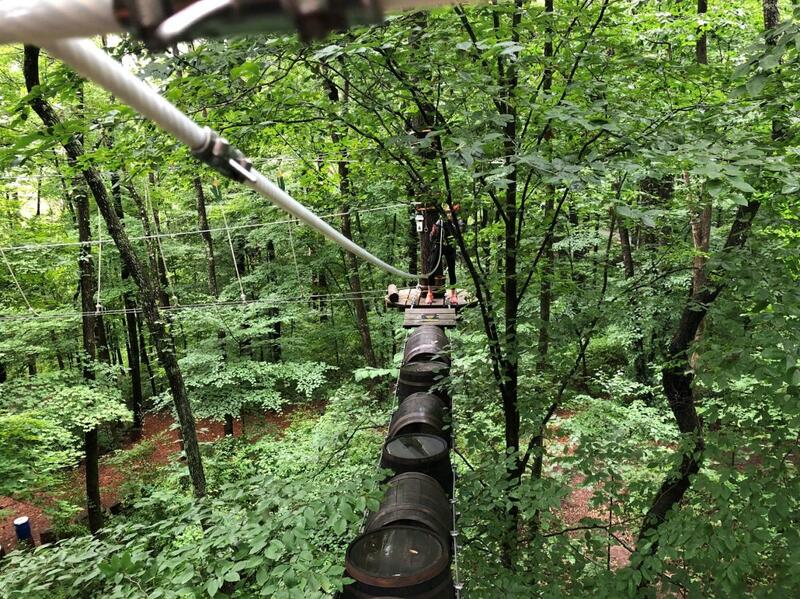 They continue to show you how to click in from the tree to the cable to the zipline and so on. You will repeat the clicking in and out from each cable line, so you start to develop a muscle memory with the repetition. My friend and I started with the beginner route just to get our feet wet, and I am happy we did. It was definitely different than I thought it would be and I would have had a hard time with moderate if I didn’t start with beginner course. I suggest no matter how brave you are, to start as a beginner just to get a feel for everything and figure how to balance yourself on a single cable. It was for sure a whole-body workout, but it wasn’t overwhelming! I loved every minute of it and ended up doing both beginner courses, one moderate, and one difficult course. The coolest part was the end of the difficult course - you clip into a retractable cable that catches your weight and slowly lets you down. 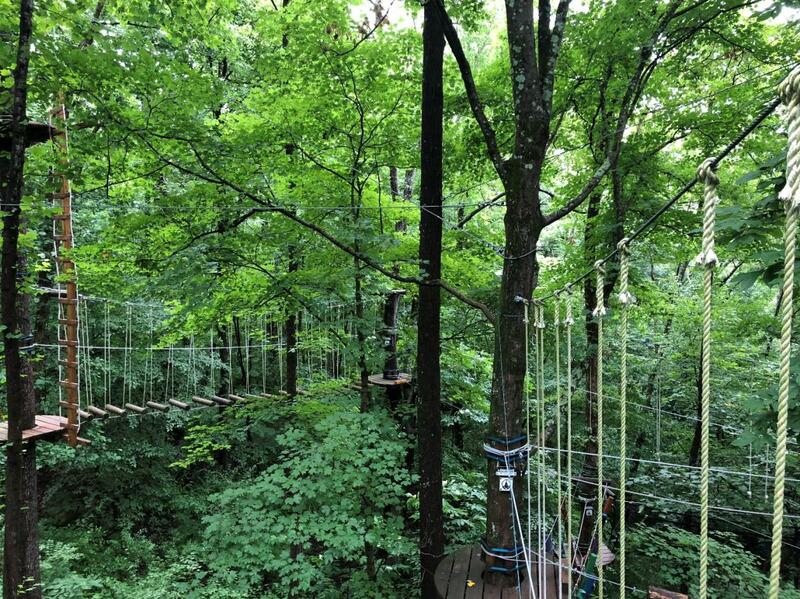 It’s a little scary because you’re thinking, “Oh my gosh, I am about to jump off this tree 40 feet in the air expecting this cable to catch me. What if it doesn’t?” Despite this thought, I overcame the fear, jumped, and I would do it all over again. It was so much fun and you have to try it yourself! Navitat was an incredible experience and I hope you’ll consider the adventure on your next visit to Knoxville! Adults (12+) are $44.95, 7-11 are $34.95. You can even get combo passes that cover both Navitat and Zoo Knoxville, Adults are $54 and 7-11 are $39. The combo passes are available online and at the Visit Knoxville Visitors Center. 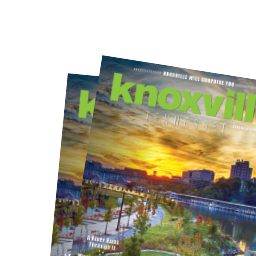 Both Zoo Knoxville and Navitat are family friendly, so why not have double the fun!? 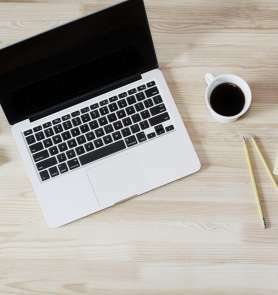 Stay tuned to see where I’m headed next and don’t forget to subscribe to the blog! Tori McKinney is a Junior at the University of Tennessee and will graduate December 2019. Her major is Marketing and she is interning at Visit Knoxville Summer 2018. She loves to eat, watch Netflix, and play board games & do puzzles.